How do individuals cope with the cost of converting checks and bank balances to cash? Is it convenient or expensive to send cash to distant friends, or to use cash to buy things online and pay the bills? 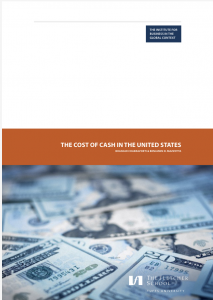 Is cash a profit center or a cost center for retailers? And what about for the government? The answers might surprise you, and they are sensitive to national context. 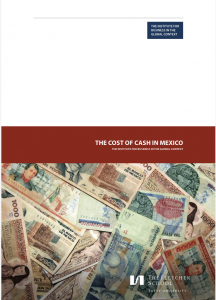 The Cost of Cash is a study of how four countries see cash. 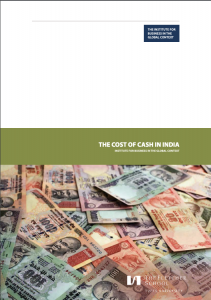 The ends and uses of cash are remarkably different in the United States, Mexico, Egypt, and India. This is partly due to difference in infrastructure for payments and cash operations; and partly due to different social conventions about how and when to use cash. Cash is unique among payment instruments in that anyone can to transact any time, any place, with no third parties. With this freedom comes strong privacy protection: currency neither knows nor cares who holds it, nor when and where. This freedom creates a parallel economy outside the banking system. That creates big headaches for businesses that must safeguard cash from fraudsters and thieves, and for government that must unravel money laundering webs and crack down on tax evasion. Check out our reports on the United States, Mexico, and India.